I SLOW VENICE! WATER, STONES AND VOICES OF THE CITY INHABITED In a labyrinth like Venice there’s always something new - a view, a street, a stretch of waterfront - to discover. A route that shuns the tourist trails, following the daily rhythms of the city and its inhabitants in search of the essence of Venice. In a labyrinth like Venice there’s always something new - a view, a street, a stretch of waterfront - to discover. Even in the heart of the city it’s possible to leave the beaten track and go where the tourist hordes never venture, on routes that follow the rhythms of the city and its inhabitants, in search of the essence of Venice. Venice has over 100 islands and islets. And every one of them has streets, small squares and gardens waiting to be discovered, and some surprising plant life and fauna. Fill your lungs with sea air, watch the surface of the water as it ruffles in the changing winds, marvel at the ever-changing play of light and shade. Expo and its themes are modeled perfectly this experience and many others that we propose to know and be fascinated by these places. The element of the ENVIRONMENT, respect for and we'll find out LANDSCAPES TERRITORIES who will travel and it will be told by the people who live there and who are part of those places. The big theme is the theme Expo dedicated to LIFE, to history, to the excellence and local traditions, art and all natural or human manifestations that are based on tangible and intangible elements results from vulnerable equilibrium, between sea and countryside , which preserves natural gems of striking beauty. SlowVenice is important for environmental protection and the visit with the lowest possible environmental impact in terms of sustainability. We are specialized in creating itineraries, excursions and educational activities for children, teens, adults and families. The itineraries are designed and personalized with the objectives of the environmental and cultural sustainability. We will bring the visitors to descover Venice and the lagoon. SlowVenice is a Limosa product. Limosa is a company with over twenty years’ experience in organizing holidays and excursions on natural and cultural themes. We embrace the “slow tourism” philosophy, with its emphasis on authenticity, sustainability and close contact with local cultures and traditions. SlowVenice comes from the passion to share and know the area and the culture already materialized by Limosa, undertaking environmental guides for over twenty years offers excursions natural, cultural and experiential. 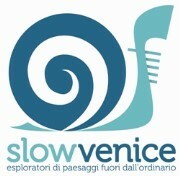 SlowVenice tour operator follows the guidelines of the slow tourism, characterized by principles of authenticity, sustainability in close relation to the elements of the culture and local traditions. we like to work together, mix and value different talents, have shared interests and principles of identity. Our strength is rooted in the territory, the reliability gained from our customers, individuals and institutions. There are about 50,000 people - tourists, students, teachers and citizens - that every year we reach with the projects for environmental education and leisure activities. Our stays in Venice Lagoon won the German journalism prize Goldene Palme, we have added several public bodies in European cooperation projects for the development of the area and we are proud and responsibly aware of the trust of hundreds of loyal customers.